The Missive Maven: Show and mail? 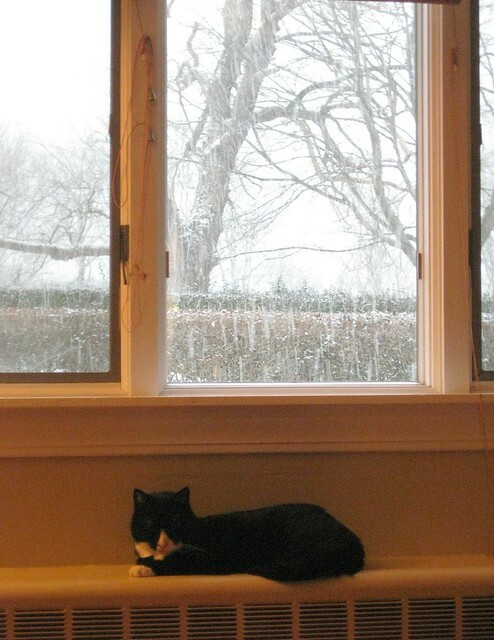 Snow and mail! Last spring some folks at the National Postal Museum started a groovy Twitter hashtag, #showandmail. The concept was similar to "show and tell:" show us what you've mailed! I love seeing photos of mail, and it was a fun way to see quickly what other folks were sending and receiving. (Especially cool for those who don't have a mail blog to be able to share an instantaneous photo.) I did a blog post about it back in April when I first got into it, and all my posts that I subsequently tweeted about are tagged with #showandmail here on my blog. It was really hot Twitter hashtag for a while, but it's sort of died off lately. Why should we do this? Well, firstly, it will get us to write more letters. Secondly, it will inspire others to write more mail. Whenever I see a show and mail I get an itch to write someone. Why not spread that feeling to others? Of course, Soda had to help. 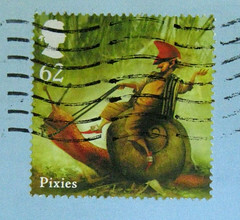 The lovely Keep Calm and Send Postcards postcard is from MaxAndCoPost on etsy, and they have some other fine mail-related postcards in their shop. It's a great sentiment for any day, but especially a day like today when many of us on the east coast are getting quite a good bit of snow. Soda and I intend to snuggle up and enjoy it. 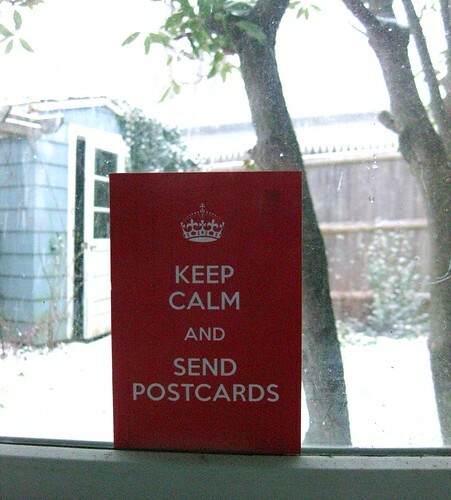 Whatever your weather, if you're writing mail, pop a photo up on Twitter and use that great #showandmail hashtag, so we postal voyeurs can enjoy and be inspired. And thanks to the Letter Writers Alliance for the reminder! Thank you for the shout out! I often find that stopping to write a postcard to a friend helps me reset - whether it is on vacation or just at home on a stressful day. There is something soothing in knowing that someone will get a smile on their face because of me :) So, keep calm, and send postcards. So true - Snail mail is a great way to slow down and "reset." 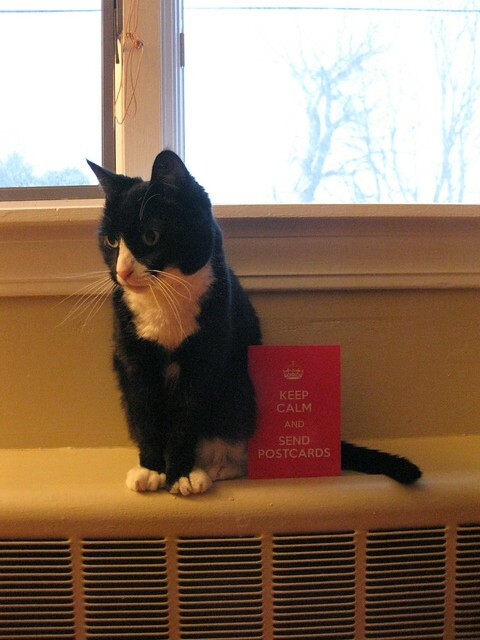 Thanks for stopping by my blog, and love your great postcards!